Mounting speculation is linking Joe Ledley with a move away from the Rams and a possible re-union with former Welsh National coach Chris Colman now in charge at Sunderland. The struggling Black Cats have appointed Colman and the link between himself and his Welsh midfield General has not been overlooked by the press. Speculation that he will join his former boss is becoming louder every day. 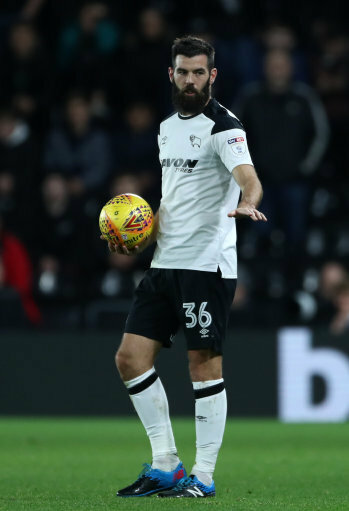 Derby need to act quickly if they aren't to lose him in the January transfer window as Ledley has only signed a short term agreement with Derby but his influence has been amazing for the Rams. Ledley has featured in 8 games so far for the Rams and during thse 8 games they are unbeaten rising to claim a play-off position, all be it briefly, on Tuesday night. The Cardiff born Ledley will be 31 in January and the talks to try and keep him at Pride Park must surely be underway. A possible reason for him to stay may be his form and his Welsh midfield partner Tom Lawrence being at the club and the fact the Rams are at the right end of the Championship table and Ledley may be more interested in a promotion battle than a relegation fight.